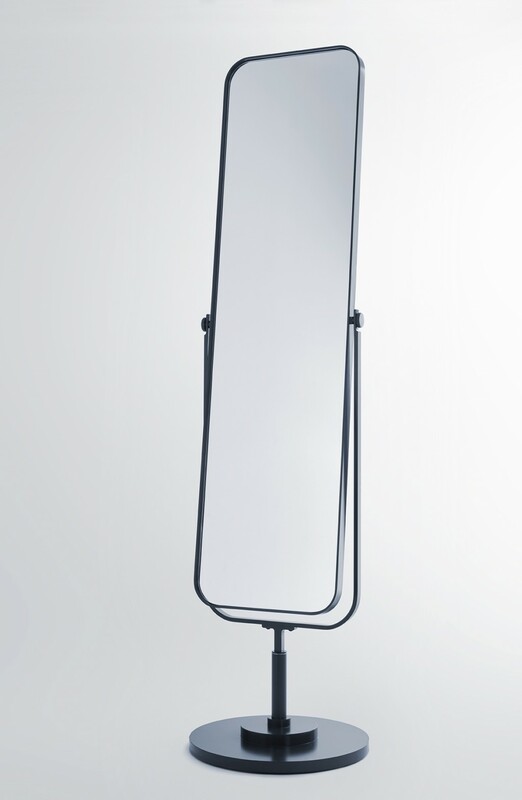 This freestanding, full-length mirror features a forged black metal frame with smoothly round corners and a perfectly balanced structure. 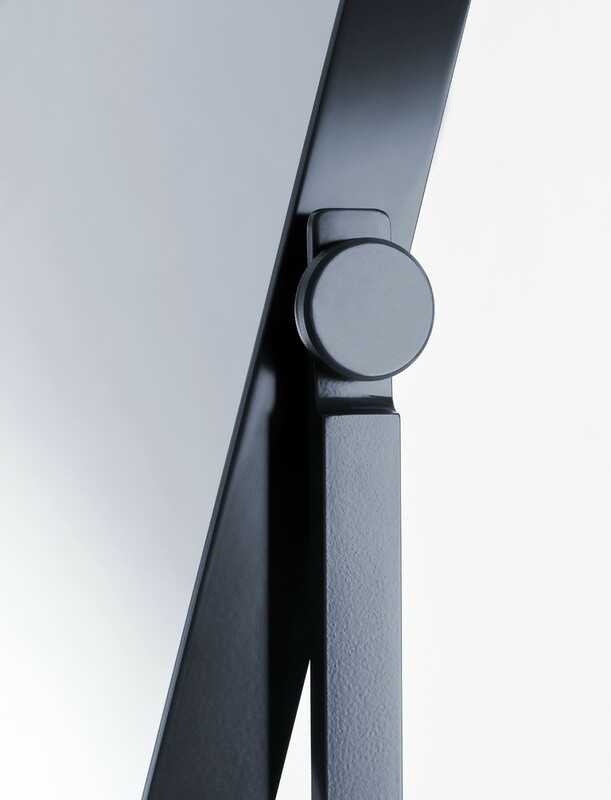 Pöppler’s signature carefully curved shape, is carried through the entire piece, from its round base to the shape of the detailed cuts and angles of the handle. 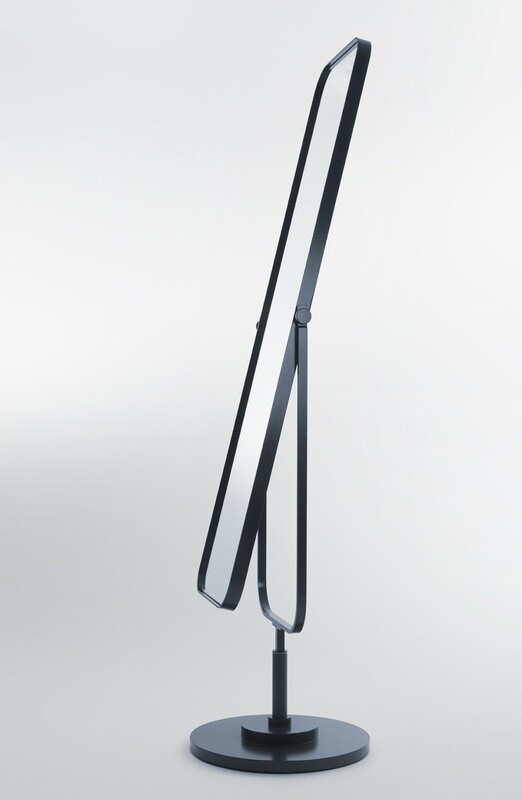 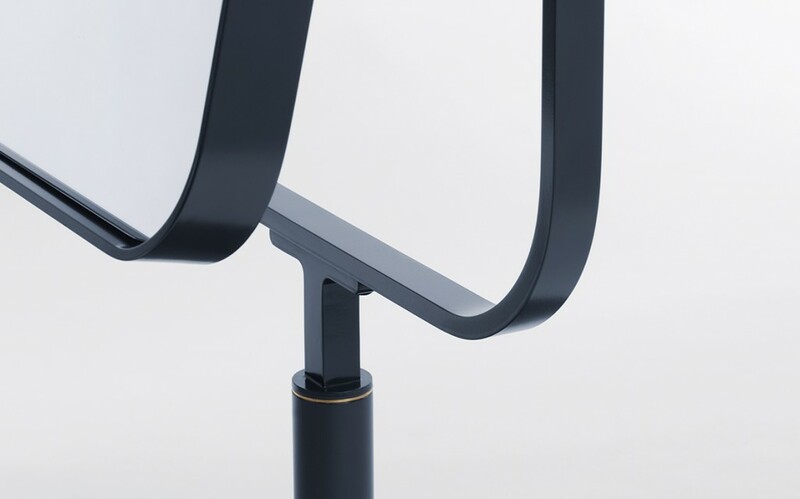 With mirrors on both sides, the center panel flips to offer 2 perspectives of magnification while itself standing solid and securely in its place.